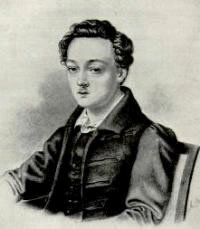 About Georg Büchner, the astonishments never cease. How could they? Whenever we turn back to the plays and the unfinished novella, two miracles dazzle: the quality of the work and the brevity of the life that produced it. Add the historical anguish: the fact -- certainly it can be called a fact -- that if his plays had become known at the time they were written, the whole of nineteenth-century drama would have been affected. The latter-day German critic Wilhelm Emrich says: "Georg Büchner's writings already contain in condensed form all of the fundamental compositional elements of our century's modern literature." It is impossible to believe that Büchner's plays would have had no influence on Ibsen and Strindberg and Hebbel and Zola if Danton's Death had been visible. The legacy of those subsequent writers is rich enough, yet it is not idle to assume that it might have been even richer. Still another revelation swirls up out of Büchner. Recently I re-read Danton's Death in connection with a seminar in tragedy that I conducted. An aspect of the play, which I had known but scanted, struck me forcibly -- the play's form. No play written before it has quite the fierce fracture of traditional form in Danton's Death. Büchner obviously had been influenced by Shakespeare: for one instance, the intertwining of vulgar scenes (vulgar in two senses) with those of major persons is pure Shakespeare. But throughout Danton's Death I was conscious of something new, torrential, the play's impact through the coursing structure itself. Clearly Büchner, passionately humane, politically insurgent, teeming with impatience, wanted the shape of his play to fit his radical views of character and politics and history. Traditional structure would have been inhibiting for a play that is a forerunner philosophically of twentieth-century existentialism, that strips narcotic idealism from public action, and that explodes Aristotelian injunctions. Danton's Death is the first play to begin after its climax. The protagonist's fate -- his execution by Robespierre's group -- is as good as sealed before the play begins. The play might as well be called Danton's Dying. He attempts to defend himself because of the pressure of his friends; still, from the first moment of the play, the matter is settled in his mind. He will die. Thus Büchner's unconventional dramatic intent forced him to dispense with the classical structures of his beloved Shakespeare and Goethe and to shape his play in a manner as innovative and exploratory as his thought. I suggest, then, that he wrote Danton's Death as a film script. Yes, this was literally impossible in 1835. Film would not arrive for another sixty years, and I don't imply that Büchner foresaw its arrival. But the play depends on a pace, a rhythm of progress, a stream of settings that we now associate with film and that seemed to be in Büchner's grasp in advance. The nineteenth-century theater, as A. Nicholas Vardac shows in Stage to Screen, was frantic to flex its physical limitations, almost as if theater people and theater public were demanding, without knowing what they were demanding, the invention of film. Büchner, spurning the current theatrical practice, overleaped it: he responded to an aesthetics that did not yet even exist. Consider some details. The play doesn't begin. These lives have been going on for some time: we simply join them. Scene One doesn't start with establishment of time or place -- they will filter through as we go -- but with the sense of our slipping into a set of lives in progress. (Shakespeare sometimes does this, for instance, in Othello.) For us today, this effect is less novel than it probably was in the past. We recognize the method from many, many films, though Büchner heightens the impact with the intrinsics of what we are joining. He hardly gives us a chance to catch our breath as Danton in his first speech wryly makes a bawdy joke and in his second speech lays his soul open as easily as if he were unbuttoning his shirt. The play is not one minute old before we are completely immersed in it. We who live in a film-drenched world can recognize the process, here used for exceptional purpose. The pace of the play is almost breath-taking -- paradoxically so because some scenes are deeply introspective, like the one in which Danton deliberates about getting dressed. He is supposed to hurry, to go to the tribunal and defend himself; still, he considers the weary repetitiveness of dressing. Throughout the play, short and long scenes, active and pensive, almost bump one another, depend for their fullness on the very speed with which they do it. (Max Spalter says: "Multiplicity of episode allows Büchner to make the content of one scene footnote the content of another.") This approach makes the usual method of scene-shifting seem ludicrous, which is all the more wondrous because the theater practice of Büchner's day had nothing else but that practice. The idea of the melding of scenes through changes of lighting and focus, something utterly familiar in today's theater -- and of course in film -- was rudimentary in a theater that did not yet have or even conceive of electric lighting. After Danton has been warned of his arrest, we suddenly see him in the middle of a field, alone, thinking aloud. This is not a shift of scene, it is a cut in a film. Later, Lucile Desmoulins outside her husband's prison calls up to him at a high window. This is followed immediately by a scene in that cell with Desmoulins looking down at Lucile. This is not a change of theater setting: it is a cinematic reverse shot. Scenes would flash up for a second or two....The last words of one scene were still being spoken when the first words of the next would sound and the light change to it. The sound of singing, the whistling of "The Marseillaise," the tramping of many feet, booing, the echo of a speech being delivered, applause from out of the darkness. A lamp-post lights up and the mob is seen hanging an aristocrat. This, with magnificent appropriation, is sheer cinematic montage, employed in the theater. Reinhardt had come to maturity in a country that was rapidly becoming a world leader in film art, and it seems reasonable to believe that the film culture swelling around him made him especially perceptive of the cinematic elements and opportunities in Danton's Death. In any case, my own last reading of the play disclosed more clearly than ever another aspect of Büchner's genius. It enabled him to envision an art that did not yet exist and to put it at the service of the theater.